MARVEL LEGENDS TOY BIZ 2005 LEGENDARY RIDERS SERIES 2 TASKMASTER 1:12 FIGURE. Condition is Used. I believe he has most accessories except his gun. Smoke free home. Shipped with USPS Priority Mail. Up for grabs is a lot of 22 Marvel Legends. Most are Hasbro and Toy Biz but a few are also Selects from Diamond Select. All have been used for display only and come exactly as shown. If you have an questions please ask. A little loose at hip joints, but other joints are all good and stands fine. ***US SHIPPING ONLY*** This is the long horned Loki action figure from the Onslaught series. Figure is in great shape and comes as shown. Buyer agrees to pay within 48 hours of the auction completion. Shipping in United States only. Thanks for looking! Just as you see in the photos! TOY BIZ MARVEL LEGENDS Series 7 SILVER CENTURION IRON MAN 6" Action Figure loose. (Look at pictures) Sold æ is! Ready to ship! Great to add to your collection!! Payment must be made within 3 days of ending listing ! Serious buyers only !!! please contact for any questions you may have,PayPal only! Marvel Legends 1st Appearance Spider-Man from Sentinel BAF series by Toy Biz! Marvel Legends 1st Appearance Spider-Man from Sentinel BAF series by Toy Biz!. Condition is Used. Shipped with USPS Priority Mail. Marvel Legends Series 3 Wolverine Toy Biz Action Figure Good pre owned condition Shipped with USPS First Class Package. Please use pictures for final description ! I have added closer images of noticeable imperfections (scratches/dents) on the outer plastic shell. X-Men Classics Marvel Legends Archangel Figure 2004 Toy Biz. Condition is Used. In great shape, comes from a smoke-free home. Hello, Marvel Legends fans! We are not professional graders and have done our best to describe the item. I TRY TO RESPOND WITHIN 24 HOURS. The base is also included. He is missing the thumb on his left hand. Marvel Legends Series 1 Captain America Toy Biz Action Figure - Complete with Base and Flag Good pre owned condition Shipped with USPS First Class Package. Please use pictures for final description ! Marvel Legends DOC OCK Figure Series VIII Toy Biz figure. Was in a smoking home for a bit. Has been washed. See pics. Also has a couple broken fingers. Part of series 3 of the Marvel Legends line by Toy Biz circa 2002. Just a small crack in the outer rim of the plastic case. I will do my best to answer the best that I can. Item is in good condition. Little paint wear. You will receive EXACTLY THE ITEM SHOWN IN THE PICTURES. My prices are very reasonable as I am always looking at other similar products out there for sale. Always more exclamation points! Mojo Series. Marvel Legends. Nothing has been graded. If it's marked as new, it's new. Marvel Legends Toy Biz 2004 Blade with Motorcycle and Weapons. Marvel Legends Retro Lot. Condition is New. Minor shelf ware on daredevil. Smoke free home. Marvel Legends MOON KNIGHT - Modok Series Toy Biz 2006 New Sealed. Condition is New. Shipped with USPS Priority Mail. Marvel Legends HOWARD THE DUCK 3" Figure from 6” Silver Surfer Toy Biz 2004. Condition is Used. Shipped with USPS First Class Package. Most noticeable are Mystique’s back of skirt, wrist and Rogue’s pants. Toy Biz Marvel Legends Face-Off HULK vs The LEADER . Condition is New. Shipped with USPS. No messages with offers please. 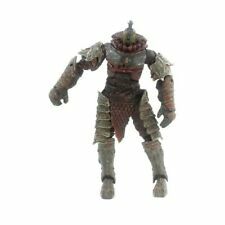 Marvel Legends Zombie Monsters Toy Biz. Condition is Used. Shipped with Standard Shipping. MARVEL LEGENDS TOY BIZ 2001 SPIDER-MAN CLASSICS RHINO WITH BASE Loose. Condition is Used. Shipped with USPS Priority Mail. MARVEL LEGENDS MOJO SERIES BARON ZEMO UNMASKED VARIANT FIGURE, NIB TOY BIZ 2006. Condition is New. Shipped with USPS First Class Package. 2005 MARVEL LEGENDS Series 12 APOCALYPSE BUILD A FIGURE Toy Biz Without Hoses. Condition is Used. Has marks and a few scratches but overall in pretty good shape. Comes as pictured. If you have any questions feel free to contact me. Marvel Legends Reed Richards Mr Fantastic Series 5 V Toy Biz Action Figure. Condition is Used. Shipped with USPS Priority Mail Small Flat Rate Box. Toy Biz Marvel Legends Icons Venom (Unmasked) Brand New, Factory Sealed! Toy Biz Marvel Legends Icons Venom (Unmasked) Brand New, Factory Sealed!. Condition is New. However packaging doves show significant shelfware including damaged box and blister. Shipped with USPS Priority Mail. Brand new. US only. Please make payments within 3 business days. Stand accessory included. Adult owned, displayed in book case. Even if it's cancelled. It's Crazy. New Listing2001 Spider-Man Classics Action Figure Marvel Legends Toy Biz Spider-Man 6"
2001 Spider-Man Classics wave 2 Toy Biz Spider-Man. Most of the joints are fairly tight, but the knees and thighs are loose. Very little paint rub. Comes with the original wall mounted base. ***US SHIPPING ONLY*** This is the Toy Biz classic version of Havok up for auction. Alex comes as shown. Buyer agrees to pay within 48 hours of the auction completion. Shipping in United States only. Thanks for looking! Marvel Legends X-MEN Classics ARCHANGEL figure. Missing those stupid non firing missiles on his back. 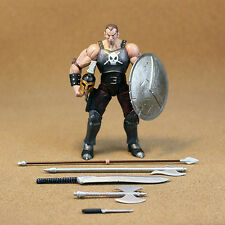 Marvel legends toy biz Cable Losse. Condition is Used. Shipped with USPS First Class Package. Marvel Legends Series VIII Ultimate Captain America TOY BIZ 2004 Avengers. Condition is New. Shipped with USPS Priority Mail.